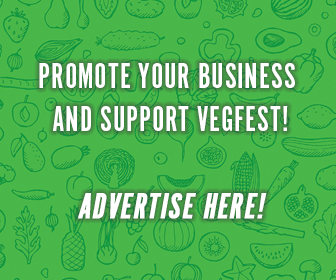 Now accepting vendors for the 2019 Pittsburgh VegFest! Click here to apply! PLUS live music, shopping, and informative speakers that are sure to keep everyone entertained all day! Small business merchandise and wellness vendors, non-profit animal welfare organizations and adoptions, along with the city’s BEST veg food will be spread out across Allegheny Park. 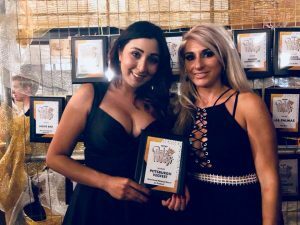 Best food festival in Pittsburgh – VOTED 2 years in a row! We are looking forward to 2019’s celebration of animal advocacy centered organizations and entrepreneurs, and hope you (and your furry friends) will join us! For the most up to date information information and details check us our on Facebook, Instagram, and Twitter. Why start a VegFest in Pittsburgh? The ‘story’ behind the party! The founders of Justice for Animals (JFA), Leila and Natalie, met at a protest against the animal cruelty found in circuses and became instant friends. After creating JFA, they organized VegFest to bring the community together and extend compassion to more than just dogs and cats. 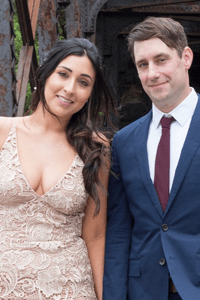 and Natalie – who saw the vision for a VegFest in the city of Pittsburgh, together saw the need for a fun outdoor festival-type celebration to bring attention to important issues in a family friendly and positive way. They decided to to this by supporting the local community and inviting vendors from Pittsburgh’s small businesses, top-notch veg food establishments, and animal welfare organizations. Bringing together aspects of sustainable living, such as yoga, and live music to round out the fun festival atmosphere, VegFest 2015 was received beyond expectations–bringing out nearly 5,000 Pittsburghers! The overwhelming response of Pittsburgh embracing VegFest solidified its need in Pittsburgh for with a mission to make each year bigger and better! She always rooted for the “black sheep” because she often felt like an outcast as a child. Due to their defenselessness and vulnerability, animals fit that underdog mold, and thus they have always held a special place in her heart. As an adult, Natalie became a vegetarian. She refused to bring harm to animals as a means to satisfy her own hunger. In 2010, Natalie began volunteering at PETA. Within three years, she was conducting undercover investigations to document animal cruelty in zoos and circuses. One of those investigations resulted in fines and citations levied by the USDA against one of the largest circus and exotic animal acts in the United States. From a young age, Leila refused to eat any food produced as a result of an animal’s death. She not only disliked the taste of meat, but she also questioned why people felt the need to eat it as a means of survival. A longtime protester of human rights, Leila became very passionate about animal rights. In 2005, she began interning at PETA. Several years later, she started working for PETA professionally. She toured the country, spreading awareness for the plight of animals being used for food, clothing, experiments, and entertainment. In fact, she’s been on the front lines for hundreds of demonstrations against animal cruelty throughout the United States. Over the years, Leila has worked and presented at VegFests across the county, promoting vegan diets and awareness of animal mistreatment. Justice for Animals is a non-profit animal welfare organization location in Pittsburgh, PA. JFA aims to support initiatives in Pittsburgh towards protecting animals, spread awareness about animal rights issues, and educate the public on what they can do to live healthier and cruelty free lives. We have also organized many demonstrations around the city, participated in neighborhood education missions, clean-ups, and host a plant based thanksgiving dinner every year named VegFEAST.